Born in Beverly, Massachusetts, he was the son of Presbyterian minister Edmund Melville Wylie and the former Edna Edwards, a novelist, who died when Philip was five years old. His family moved to Montclair, New Jersey and he later attended Princeton University from 19201923. He married Sally Ondek, and had one child, Karen, an author who became the inventor of animal "clicker" training. After a divorcing his first wife, Philip Wylie married Frederica Ballard who was born and raised in Rushford, New York; they are both buried in Rushford. A writer of fiction and nonfiction, his output included hundreds of short stories, articles, serials, syndicated newspaper columns, novels, and works of social criticism. 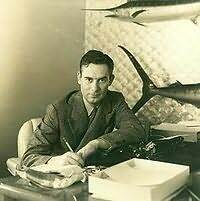 He also wrote screenplays while in Hollywood, was an editor for Farrar & Rinehart, served on the Dade County, Florida Defense Council, was a director of the Lerner Marine Laboratory, and at one time was an adviser to the chairman of the Joint Congressional Committee for Atomic Energy which led to the creation of the Atomic Energy Commission. Most of his major writings contain critical, though often philosophical, views on man and society as a result of his studies and interest in psychology, biology, ethnology, and physics. Over nine movies were made from novels or stories by Wylie. He sold the rights for two others that were never produced.